Welcome to the Packet Pushers Weekly Show. This week, we follow up a discussion we had with Ravello Systems going back to June 2015 in Weekly Show episode 241. Since then, Ravello’s been up to big things, having been integrated into Oracle, and thus we’ve got the rebranded Oracle Ravello Cloud Service with us today. Why today? 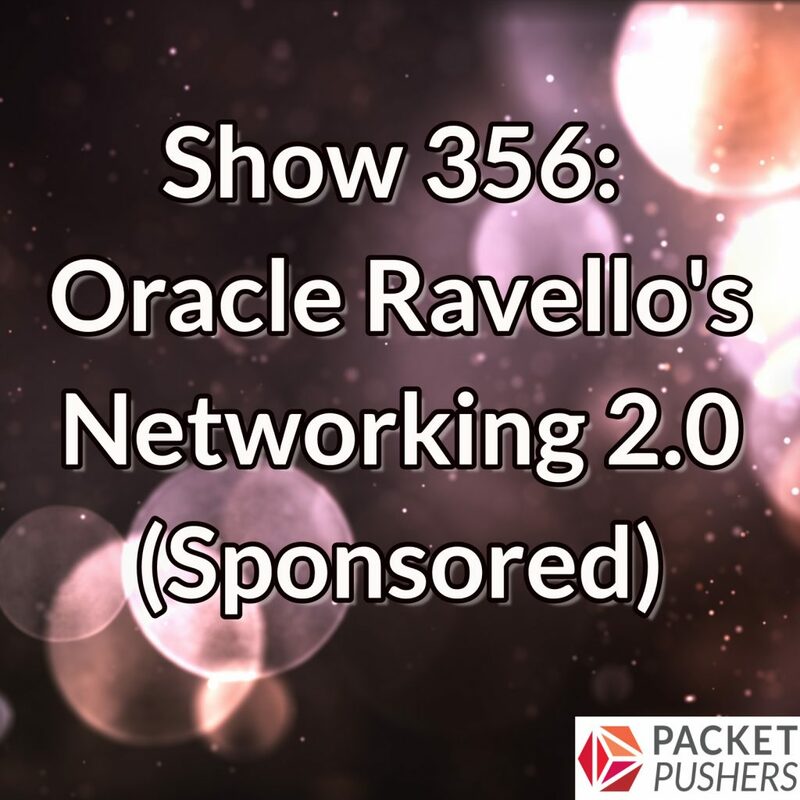 Well…Oracle Ravello has been busy baking new features into the product, including Networking 2.0. Today we discuss these features and capabilities. Joining us for the conversation are Itsik Musseri, Senior Principal Product Manager; and Abhinav Gupta, Director of Product Management. We start with a review of Oracle Ravello, which offers a hypervisor designed for the cloud that creates an overlay to let organizations move VMs from their own data center to public clouds from Oracle, Amazon, and Google without having to make any changes to the VMs, networking, or storage. Use cases include development and testing, production, and training. We also explore what’s new with Networking 2.0. New capabilities include more granular control over how network elements such as subnets, virtual switches, and virtual routers are configured; more visibility into how the network is set up; and the ability to create L2-only networks. To get more information and to try Networking 2.o, go to cloud.oracle.com/ravello and click on the Free Trial link in the top right corner of the page. It sounded like the revised product wasn’t generally available yet, so I’m skeptical about suitability for production workloads, as claimed, until there are some credible customer datapoints. I understand it was a sponsored show, but a bit more questioning about the performance claims, trying to get at some numbers for added latency for the new, improved product, would have been helpful. Ravello as an Oracle subunit may have succumbed to the Oracle marketing hype. Their website implies that prod workloads can run on AWS and GCP as well as Oracle, but the presentation seemed clear that the required performance was only on Oracle.